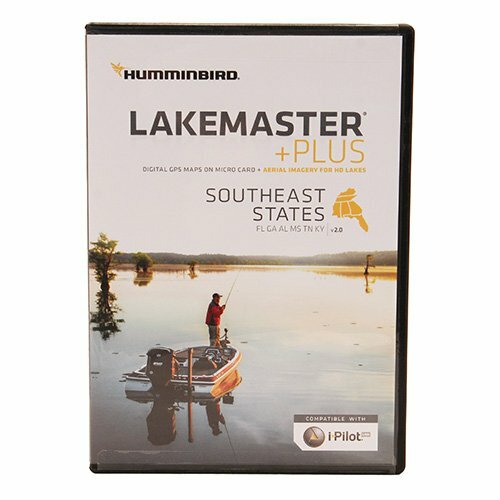 The southeast States plus, version 2.0 map card has many standard and high definition lake maps for Florida, Georgia, Alabama, Mississippi, Tennessee, and Kentucky. The plus Series allows for aerial image overlay on high definition waters in addition to all of the LakeMaster features.Now you have the ability to use the quality aerial photography to view the entry and exits of creek channels , see how far a reef or weed line extends, and pick out shallow water rock piles, steep drop-offs or other features of the lake you've been missing from traditional maps.Features:- map card has many standard and high definition lake maps- allows for aerial image overlay on high definition waters- use the quality aerial photography to view the entry and exits of creek channels- see how far a reef or weed line extends- pick out shallow water rock piles and steep drop-offs- see other features of the lake you've been missing from traditional maps. Specifications: - covers southeast States: Florida, Georgia, Alabama, Mississippi, Tennessee, and Kentucky""
Humminbird 409990-1 Helix 10 SI 600x1024 Sonar with GPS, 10.4"